Will you help Project Hope Alliance earn a $5,000 grant? All you need to do is sign up for The Rite Aid Foundation’s KidCents (free!) and designate Project Hope Alliance as your charity. That’s it. This amount of funding will end homelessness for 3 kids, and only requires 10 designations. Of course, if you share this with your friends and family, we could win a $20,000 grant and bring home 6 families in the new year! All designations must be completed by January 31, 2016. Visit kidcents.com to get started. Below are step-by-step instructions. 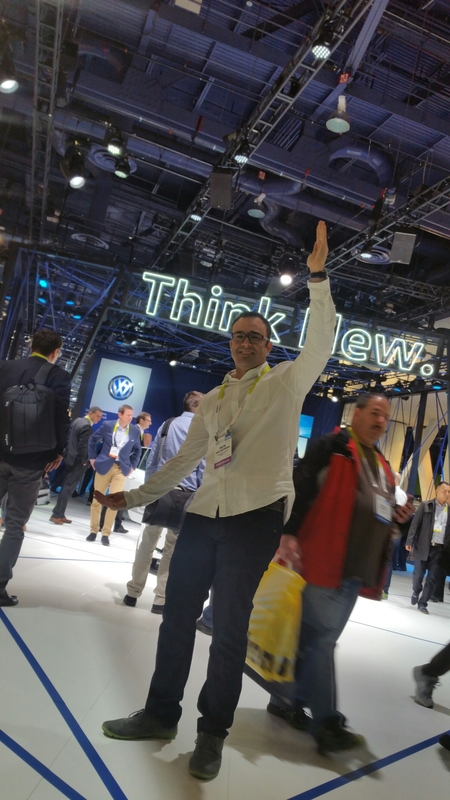 Amazon: the brain inside the IoT? Amazon this week announced it will push deeper into the smart home market by selling semiconductors from a chip design company it purchased last year for $350 million. The chips from Annapurna Labs will sell to home equipment designers that build products for the Internet of Things. Advertising and media executives may not realize that these ARM-based silicon chips act as the brain for IoT devices. The brain automates functions, similar to the way advertising platforms buy and bid on ad placements. The chips are used by original equipment manufacturers that build network-attached storage, WiFi routers, and streaming media, among other devices. These programmable chips have the ability to search and pull in data, serve or save information, and connect with other devices. Amazon’s decision will see companies integrate search into a variety of hardware devices. This week we learned of Amazon’s new product line, Alpine, that will serve as a foundation for next-generation digital services for the connected home, according to a press release. The chips can enable functions such as voice search in a device. Voice search will drive new behavior and understanding for marketers in 2016, according to David Pann, GM of Microsoft Search Advertising, who made seven search predictions for 2016. Pann’s predictions range from using search data to predict the outcome to using paid-search advertising to go beyond keywords to audience and action buying, and mobile to personalize the experience. Search marketing will harness the majority of digital marketing spend, predicts Pann, but the industry will need to find a way to automate more functions into chips and devices. Search marketing will represent 45.4% of digital marketing spend in 2016, per Forrester Research Digital Marketing Forecasts, 2014 to 2019 (US). That likely doesn’t include future search investments that will become automated in devices. I don’t know who Mayur Gupta is but I’d give him a fist bump for this post. 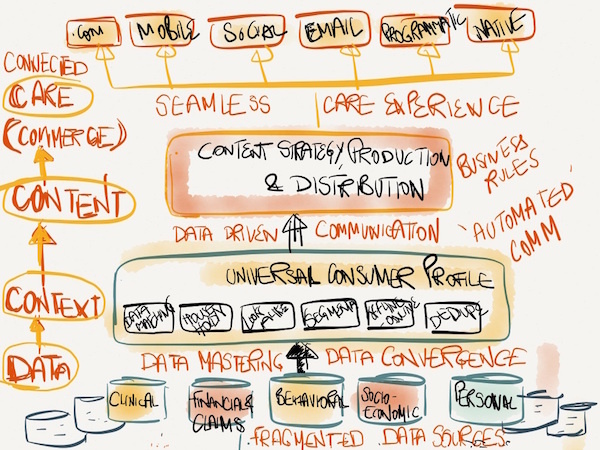 The following is a guest post by Mayur Gupta, a pioneering chief marketing technologist and author of the Inspire Martech blog, who is now a senior vice president and head of digital atHealthGrades. Mayur is also on the board of advisors for the MarTech conference, and he will be one of our featured speakers at the San Francisco event, March 21-22. Check out the MarTech agenda and save $500 on registration before January 9. 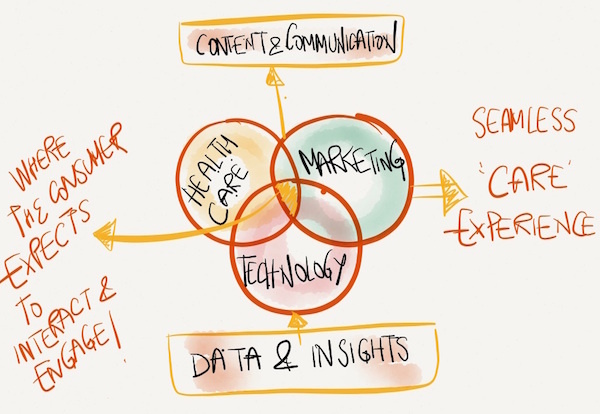 Web Experience Management Platforms for Personalized Relevant Healthcare Experiences— From generic pieces of content and mass communication to more personalized, relevant, and contextual experiences on a hospital.com site or any other third party platform. Data Management Platforms (DMPs) for Managing an Individual’s Universal Health Profile— None of this would be possible without a universal 360-degree view of the consumer across the offline and online world, across her clinical and non-clinical life. While the data has always existed, it has never been harmonized and connected. 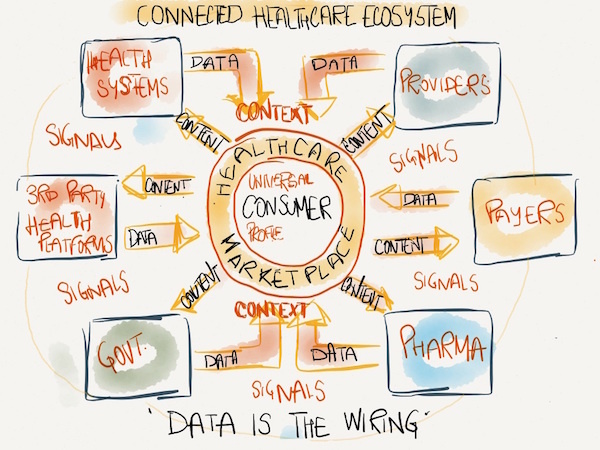 The DMPs not only provide this universal view along with consumer insights but can also feed that insight into various communication channels (pull & push) based on business rules, enabling the most seamless and connected healthcare experience. Come meet Mayur in person at MarTech this March in San Francisco and hear him speak onThe Omni-Channel Reality with Marketing Technology & Integrated Experience Planning.